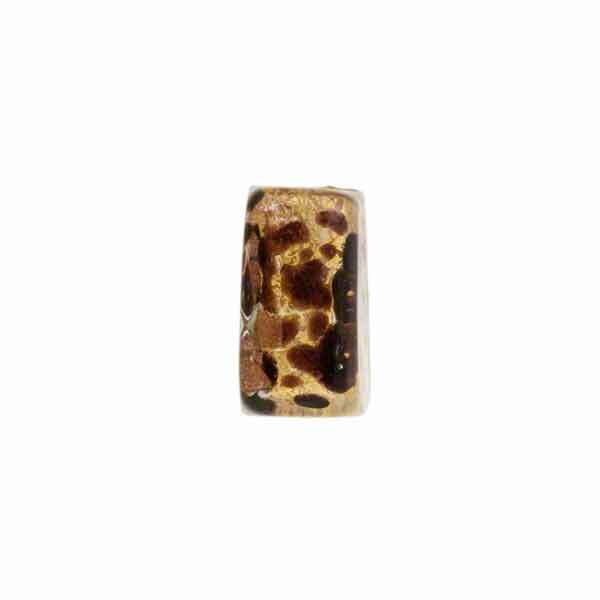 Authentic Murano Glass square in our animal print. These Murano Glass beads make great little earrings or bracelets. The sparkle in these is provided by the use of aventurina which is copper particles suspended in the glass over 24kt gold foil. 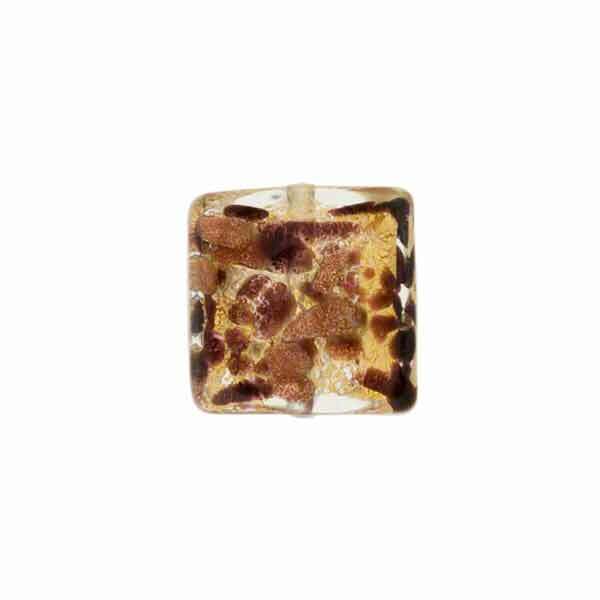 The bead is approximately 12mm square and about 6mm thick with a 1mm hole which runs through the center of the bead. 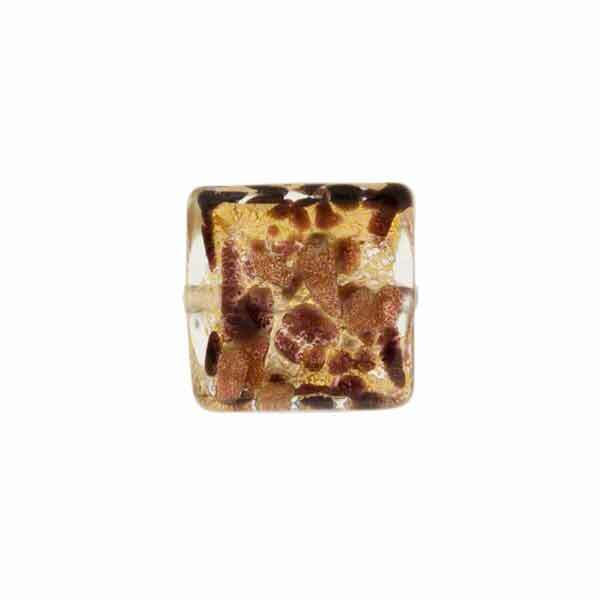 The colors in this bead begin with a base of clear Murano Glass which is wrapped in 24kt gold foil and splashes of black (chocolate) and avventurina and then completely encased in clear Murano Glass.